A check was written by Col. Charles Hayden to Miss Berry at the Berry Schools for $500.00; the check is enclosed in this letter from Stetson. 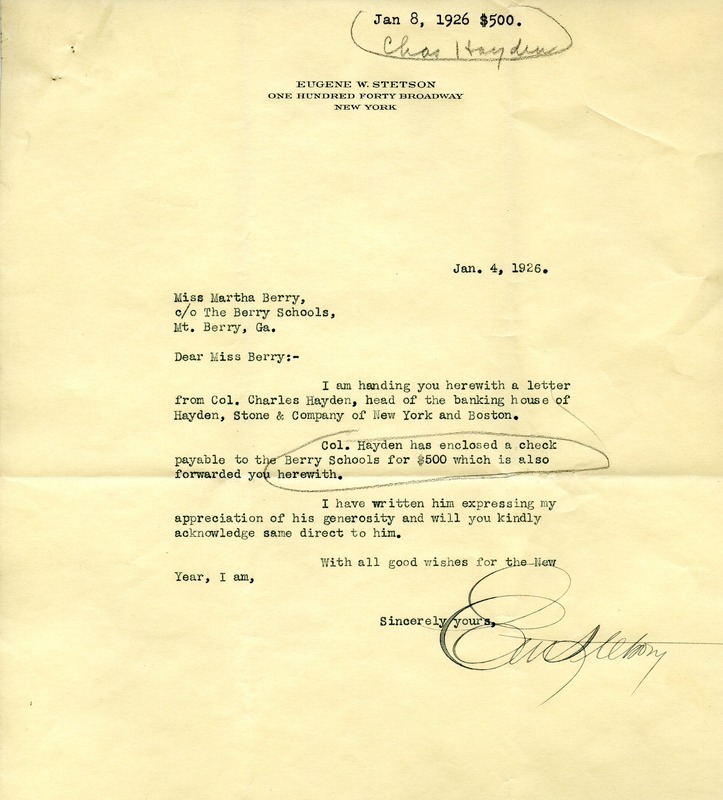 Eugene W. Stetson, “Letter to Miss Berry form Eugene W. Stetson.” Martha Berry Digital Archive. Eds. Schlitz, Stephanie A., Moriah Best, et al. Mount Berry: Berry College, 2012. accessed April 22, 2019, https://mbda.berry.edu/items/show/3282.